Wondering if that email or phone call is a scam? Learn about the most common types of scams and how to protect yourself. Sound familiar? Most of us are wise to the opening ploy of a scam letter. In this instance, “Andreas” has stumbled upon $15.5m in an account belonging to a deceased customer. 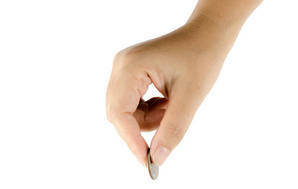 He’s willing to share the windfall with you, provided you help him transfer the money overseas. Scammers like Andreas persist because every now and again someone takes the bait. Scammers use online dating sites to form relationships with people who are looking for love. Once they’ve built up enough trust, the scammers begin asking for money “to pay medical expenses for a sick aunt” or some other ruse. They request more and more money until the victim cottons on … or runs out of funds. Online-dating scammers work from a script, which they copy and paste to several dating profiles. Be wary of messages that are vague or have no relationship to your profile. Scammers may try to email you directly after they’ve made an approach through a dating site. That way, they can avoid the site’s security checks. It’s always safer to chat through the site. Bottom line: don’t give financial assistance to someone you’ve only met on the internet. In 2012, a group of fraudsters posed as representatives of a legitimate Japanese finance company. The group was using publicly available lists of shareholders to “cold call” investors. They’d offer to buy under-performing shares for attractive prices, provided the investors were willing to make an upfront payment of a few thousand dollars. The scam was backed up by genuine-looking paperwork and a clone website. Don’t feel you need to respond immediately to an investment opportunity. A reputable broker will give you time to make a decision. 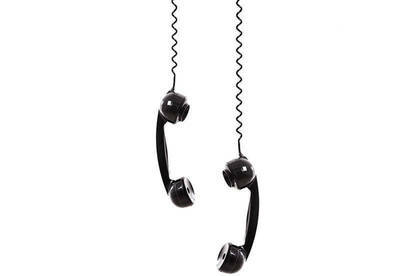 If a caller won’t take “no” for an answer, simply hang up. If it’s an email pest, lodge the address as spam with the Department of Internal Affairs’ anti-spam service. Before investing, do your own research. Start with the Financial Markets Authority, which publishes a list of firms that have tried to scam New Zealanders. A scammer sends a spam letter to a list of people. The scammer claims to be the representative of an estate or finance company – such as the “Chief Auditor of Lloyds Financial Services” – who is trying to track down the beneficiary of a will. Since the letter’s recipients share the same last name as the deceased, they’re given the opportunity to claim part of the will in exchange for “legal fees”. Another common version of this scam is where a “Nigerian prince” needs the recipient to advance him some money to help “transfer” funds. Don’t respond to an unsolicited email or letter. Don’t click “unsubscribe” on a spam email, either. It confirms your address and makes you a target for more spam. Simply delete the email. While some scammers are after your money, others want help laundering ill-gotten gains. Never agree to transfer money for someone you don’t know. Phishing is one of the most common types of scam. The name refers to the scammers “phishing” (fishing) for victims by sending official-looking emails. When a recipient clicks on a link in the email or replies, they can unwittingly provide the scammers with access to the user’s personal information. Scammers send an email pretending to be from a bank or another trusted organisation. These emails try to trick the recipient into giving their personal details. A common ploy is claiming their account has been compromised and they direct the recipient to a fake, but official-looking, website to “fix” the user’s login details. In reality, the account in question is fine, and the website is recording your login details for the scammers to use later. Don’t reply or forward on the email. If your email account has a “Report spam” or “Report phishing” feature, report them. This also blocks future emails from that sender. Immediately delete the email and block their email address. One online trading scam targets people selling items such as cars via auction. The scammer pretends to be interested in the auctioned item as a present for someone else. The scammer says he wants to buy the car but as he’s out of town on business he’s wired payment via PayPal. The seller receives an email purportedly from PayPal saying the money has been paid. The payment also includes a little extra for shipping costs. To finalise the trade, the scammer asks the seller to forward this extra money to a “shipping company”. Unwittingly, the seller forwards money direct to the scammer (who promptly disappears). The original payment never materialises; it turns out the email from PayPal is fake. Be wary of overseas traders if you’re buying or selling goods through online auction. Avoid sellers or buyers who want you to wire money through a service like Western Union. It’s difficult to cancel payment once money has been transferred. Reputable auction sites have systems to spot scams. If you’re selling or buying an item on an auction website, don’t go outside the site to complete the trade. This category is a catch-all that includes goods of dubious value bought online as well as malicious online adverts and computer hacking. The standard computer-hacking scam used to begin with a spam email, which contained an intriguing link. When recipients clicked on the link, it launched spyware on their computer. But more scammers are using social media sites to spread malware and phish for information. Fake gift cards and survey scams account for more than half of all social media attacks. Typically, scammers post an advertisement on a social media site that reads “click here for a $100 gift card”. When users follow the link, they’re duped into handing over personal details in exchange for a non-existent voucher. Don’t click on unusual links in emails or social media messages – even if the message comes from a friend. Scammers spread malware by sending links to the contact list of a compromised account. Don’t click on an online advert if you’re unsure of its validity. If you’re really interested in the advert, google it first. Regularly download the latest security patches for your internet browser and operating system – and keep your antivirus software up-to-date. Scammers call from “Microsoft” or another “computer service company” and tell the recipient their computer has a virus or another serious issue. What they are attempting to do is tricking the user into giving them remote access to the computer, which the scammer then uses to access personal information such as credit card numbers and bank logins. A variation is where the scammers call and try to get the potential victim to buy and install their “security software”. This software comes with a hefty price tag, but the scam is this software can usually be found for free. If you receive a call saying your computer system has a virus, hang up immediately. Microsoft will never call you without you having first contacted them. If in doubt, contact a local computer repair company. These usually require that you purchase software – often at a cost of several thousand dollars – which will enable you to predict the outcome of horse races or lotteries. Despite the fraudster’s claims, it is not possible to predict the outcome of random events such as horse races with any certainty. Betting software is often marketed by showing what you would have made had you invested money in the previous year. Of course, it is easy for the fraudster to demonstrate that you could have made wads of cash when they know which horse won every race – hindsight is a wonderful thing. These can turn up anywhere from a newspaper’s situations vacant pages to your email inbox. They offer the chance to work from home at your own pace – and still make loads of cash. These scams usually have you sending money to a PO box or forwarding your credit card details in advance. You never see your money or hear from the company again. If you’re looking for a cheap mid-winter holiday, be wary of telemarketers selling “discount” vouchers for accommodation or flights. These scams are regularly on the go, enticing victims with bogus offers of an exotic vacation at a fantastic price. While there are legitimate companies offering holiday vouchers, don’t buy any vouchers without first checking out the company that sells them. It also pays to check whether organisations at the other end will accept the vouchers. We’ve had many calls about problems with these schemes. Mail order can be a great way to buy, and there are many legitimate companies using this selling approach. However, there are also lots of mail order scams and ripoffs. A written, money-back guarantee if you are not happy for any reason. A physical (street) address, contact phone number or GST registration number. Never buy from a company that just gives a PO Box number. A New Zealand-based company. This is an advantage because you can take a New Zealand-based company to the Disputes Tribunal if you have problems with a product or service. A company which is a member of the Marketing Association. Members are required to meet the association’s code of ethics and follow its recommendations. For overseas companies, it’s advisable to stick with large and well-established firms. With the property market flat, scammers have turned their attention to websites listing houses and rooms for rent. They pretend to be interested in a room, send an overpayment of rent in advance and then ask for a partial refund. But after you’ve sent the refund, you find the cheque they paid you has bounced. Sometimes it’s the scammer offering a place to rent. You’re asked to pay upfront before you’ve even seen the room. If this happens, report it to the website owner. They call you with the promise of huge returns if you buy “one-off” shares. But the shares either don’t exist or they’re worthless. These scams can feature slick sales pitches backed up by professional-looking websites and certificates. If you fall for the pitch, you may get a call from another broker offering to buy the shares in exchange for a small transaction fee. This “recovery room” scam results in your transaction fee also being pilfered. The groups allow vendors to advertise and sell goods via posts on their Facebook page. But as these profiles are easy to set up and abandon, you may find it difficult to track down a seller if the transaction goes awry. Consumer Protection has received reports from people who’ve bought goods on Facebook, but the goods have never materialised. Alternatively, counterfeit goods were shipped instead of genuine items. It's is a form of malware (malicious software) often disguised as a video player download or app. Once installed on your computer or mobile device, it can lock you out of files or disable key functions such as your smartphone’s home button. Often, you’ll be presented with a message screen supposedly from the New Zealand Police or Security Intelligence Service. The message alleges you’ve viewed illegal content. It demands you pay a fine in order to restore normal access and functionality to your computer or mobile device. Mobile malware is on the rise as more people take up mobile devices. It’s estimated there are more than a million apps, so it’s not surprising to find a few bad apples among them. And while the small size of tablets and smart phones make them convenient, it also makes them easy to lose and steal. If your tablet or smart phone isn’t locked, whoever gets hold of it has access to personal information. Set up a screen lock: use a pass code that includes more than 4 letters, numbers and symbols. Or use a finger-slide pattern or facial recognition if your device offers these features. Install apps cautiously: only download apps from reputable sources. Be wary if an app wants access to information that seems superfluous to its function. A flashlight app, for example, shouldn’t need access to your contacts. Don’t respond immediately to messages of unknown origin: double-check the number of a missed call or text message from an unknown source. Don’t respond if it’s a 0900 number – or a number in a strange format. Scammers sometimes use “premium rate” numbers. If you return the message, you’ll be charged a hefty bill. New scams are often variations on old themes such as the promise of prize money from a competition you never entered. You can employ some standard precautions to stay safe. Check a company is legitimate or an offer is authentic before proceeding with a transaction. Reputable online retailers have easily accessible contact details, clear return policies and secure payment processes (characterised by https:// and a padlock symbol in the URL). Visit DomainTools or the Domain Name Commission for information about the person or company behind the site as well as their contact details. Search the Companies Register for details on the directors and trading histories of companies registered in New Zealand. See the Financial Markets Authority for a list of firms to avoid if you’re pondering an investment opportunity. Deals that seem suspiciously good – such as Facebook posts advertising smartphones for significantly less than the retail price. Unsolicited emails or calls from a bank, internet service provider or government department asking you to update personal details. Unusual links in emails or social media messages – even if the message comes from a friend. Scammers can access and use the contact list of a compromised account. Prompts to download a video player to watch specific content. Offers of vouchers or gift cards in exchange for personal information. Report scams to NetSafe. Depending on the scam, NetSafe will either advise you of the best course of action or redirect your complaint to one of its partner organisations – for instance, the Commerce Commission, Consumer Protection or the New Zealand Police. In addition, you can report spam messages (unsolicited commercial emails and texts) from New Zealand businesses to the Department of Internal Affairs. The Department’s anti-spam compliance unit can investigate spam messages and penalise the sender. Tip: Have you been cold-called or emailed by scammers disguised as a legitimate organisation such as Westpac or the Inland Revenue Department? Report the scam to the genuine organisation so it can take measures to protect itself and its clients. If you’ve been scammed, act quickly. Confide in a friend or family member who can support you. Being the victim of a scam is scary and upsetting, but talking about it can help. You’ve handed over your bank details? Contact your bank and suspend your account immediately. Fraudulent credit-card transactions can sometimes be reversed. It’s safer to pay by credit card rather than bank transfer when you’re shopping online. You think the scam is being run within New Zealand? Report it to the police. You can also report a scam to Consumer Protection, which can post a warning on its site. You suspect you’ve been a victim of identity theft? Contact the police. If the scammer has a specific piece of ID, such as your driver’s licence or passport, contact the department responsible for issuing the document. It’s also a good idea to get a credit check done by a credit-reporting agency. Never reply to any email asking you to confirm your bank or credit card details. Legitimate organisations will never ask you to do this. The same applies if you’re asked for this information over the phone. If you’re buying goods online, check the billing process is secure (characterised by https:// and a padlock symbol in the URL). Ensure the business has a physical address and telephone number. Research the firms you’re dealing with. Use the Companies Register to see if the company exists and who’s behind it. Don’t be swayed by cold-callers promising bargain deals or instant riches if you sign up on the spot. Legitimate companies will give you time to do your research. If you think you’ve been scammed, report it to police. If you’ve handed over your bank details, contact your bank and immediately suspend your account. 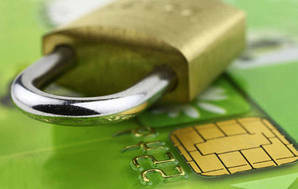 Fraudulent credit card transactions can sometimes be reversed. I have Googled the suspected scam and find that comes up with confirmation of the scams. Recently I have been getting emails supposedly from TradeME advising my order and money has been received. "If this is not your order please click on the link below." This is when I have not used TradeMe for months, and no money has gone out of my accounts. I forwarded the email to TradeMe for their info. Did NOT click on the link, and deleted the email from my system. If you google "yahoo support" you will find a number to call in NZ. Call this number and you will be connected directly to a scammer who will try and gain remote access to your computer and sell you expense security software. The first clue to knowing this is a scam is the fact that Yahoo do not offer telephone support.